On January 30, Arabic-language network Al-Jazeera played a 40-second tape showing Christian Science Monitor Jill Carroll. The time stamp on the tape was January 28. If we are to believe this, then the good news is that Carroll is still alive. The tape was accompanied by demands that the remaining Iraqi women being detained by American forces be released, or Carroll will be killed. This is a common refrain - we have heard this before. However, the American forces may have played right into the hands of the kidnappers, who call themselves "The Revenge Brigade." This may be the same group that earlier kidnapped the sister of the Iraqi Minister of the Interior; she was later released unharmed. The initial demand that surfaced soon after Carroll was kidnapped was for the release of Iraqi women being held the American forces. There was a short deadline, after which the kidnappers said they would kill Carroll. At that time, the U.S. military said that they were planning a prisoner release, including five of the nine Iraqi women in custody. They reiterated the standard American position that we do not negotiate with terrorists, but that since the five women were scheduled to be released anyway, the release would proceed on schedule. I argued against this. I believe that by proceeding with that initial release, the American command sent a signal that they were giving in to the terrorists. They should have announced a moratorium on prisoner releases until Carroll was freed - thereby putting the onus back on the terrorists. Since the kidnappers' perception may be that they indeed forced the Americans to release the five women, it makes sense that they would make another videotape, this time showing Carroll in greater distress. They may believe that their demands will be met. There is an alternate theory that the kidnappers realize that virtually the entire world has condemned their actions and that they may be making a demand that they know will be met if the Americans proceed as planned. Again, the women are scheduled for release in the near future. I think that will happen, and the kidnappers will believe they caused it and likely release their hostage. That's good news for Jill Carroll and her family, but may be bad news for other westerners in the country. The message may be - kidnapping works. Pentagon analyst Larry Franklin was sentenced to 12 years in prison as part of plea bargain stemming from accusation that he provided classified information to lobbyists working for the state of Israel. He pleaded guilty to conspiracy and improper handling of classified material. Yes, I know Larry Franklin. I worked with him at the Pentagon when we he was a DIA employee and I was assigned there in the late 1980s and early 1990s. He mostly worked Iran issues, as well as some involvement in our support to the Iraqis in the late 1980s. At some point after my association with him and prior to the invasion of Iraq in 2003, he worked in the Office of the Secretary of Defense in the office that made the assessments that led to the recommendation to invade. After the invasion, he worked in the office responsible for reconstruction in Iraq - he offered me a job, but at the time I had accepted a position with NBC News (specifically with CNBC). As I recall, he believed that we need to support Israel at all costs. It appears that is what got him in trouble. You're supposed to work WITH the Israelis, not FOR the Israelis. Unfortunately, Larry is a colonel in the Air Force Reserve; I hope he does the right thing and resigns his commission. On January 20, I appeared on CNBC, where my NBC analyst career started. I discussed recent events in the region with Power Lunch host Bill Griffeth. Frank Lindh, father of "American Taliban" John Walker Lindh, spoke recently at San Francisco's Commonwealth Club about his son's past and his recent request to President Bush for clemency, claiming that John was "wrongly maligned as a traitor and a murderer." He illustrated his remarks with baby and childhood pictures of his son. I understand a father's natural instinct to defend his son, but much of what he says flies in the face of reality and is in direct contradiction of his son's own comments. I have spoken at the Commonwealth Club and am surprised that they provided a forum for this drivel. Let me address some of Mr. Lindh's specific comments. Lindh said he is proud of his child, and hoped the story of his boy's journey from Marin County to Afghanistan will help him get a reduction in his 20-year prison sentence. "In simple terms, this is the story of a decent and honorable young man embarked on a spiritual quest. It's a wonderful thing for an American kid to go overseas and study, to learn another language, to learn another religion. These are great things." It may have started out that way, but it ended much differently. Taking up arms in support of an Islamic fundamentalist regime responsible for public executions, defacing of religious symbols, refusal of women's education - yeah, lots to be proud of here. According to Lindh, his son saw Usamah Bin Laden speak twice while he was training in Afghanistan, but had no idea that he was involved in terrorism against the U.S., his father said. Reality check, Frank. Usamah Bin Ladin had been on the terrorism radar for years. To think that John was in Afghanistan listening to the anti-American, anti-Western vitriol spewed by Bin Ladin and not have any idea that he was involved in terrorism is ludicrous. Or are you saying that maybe Bin Ladin was involved in terrorism, but not against the United States? Just what do you or your son think all the training in the camps was about? Lindh noted that the U.S. once supported Taliban fighters when they were fighting the Soviet occupation of Afghanistan. "What happened unfortunately for John is that the United States made an abrupt change after the 9/11 attacks," Frank Lindh said. "We switched sides. John was on the ground there when that happened." Again, Frank, take a history course, but maybe at a different school than where you sent your son. The Taliban were created by the Pakistani intelligence service after the withdrawal of the Soviets. They took power in Afghanistan in 1996. So, John was on the ground there in 2001? Perhaps he knew about the attacks in New York and Washington? Lindh said his son did no wrong. "He certainly didn't go to Afghanistan to do anything against America. He never fought against America. He never fired a gun at an American. He was simply rescued." Please. Continuing to be in Afghanistan as a member of the armed Taliban after September 11 in itself is an action against America. Just what was he doing that led him to the Qala Jangji prison compound? Why didn't he just come forward and be "rescued?" I'm not buying it. Lindh accused US forces of torturing his son. He showed a photo of his son's body strapped to a stretcher at a military base in southern Afghanistan. "The maltreatment and imprisonment of John Lindh was - and is - a human rights violation. He was treated in a way that is shameful to our nation and its ideals. John Lindh did not need to be tortured to tell the American forces where he had been and what he had seen," the father said. "I cannot fathom why the military felt it necessary to humiliate him in this way." John Walker Lindh was not tortured. He shouldn't have been restrained? He was captured on a battlefield carrying a weapon as part of the opposing force. We in the military call those people "the enemy." 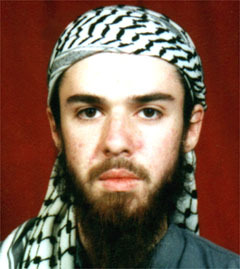 Lindh said he and Lindh's mother visit their son for long weekends each month at the medium security federal penitentiary in Victorville, California. "The silver lining in this whole cloud is that we have wonderful visits with our son. Ordinarily a son who is 25 doesn't have much time to spend with his father. But we have a lot of time." Good. Enjoy it for the next 15 years. That's more than the parents, spouses and children of American troops killed in Afghanistan. Think of them the next time you visit Taliban John, or the next time you decide to speak out about his "innocence." In the last few days, audiotapes from Al-Qa'idah leader Usamah Bin Ladin and his deputy Ayman Az-Zawahri have surfaced. What significance do we place on these tapes? Excerpts of an audio tape with the voice of Usamah Bin Ladin was played by Arabic-language network Al-Jazeera on January 19. The full transcript was posted on the network's website. My take on this tape is a bit different than much of the other analysts. In my view, this is primarily a "proof of life" by Bin Ladin. It has been over a year since we have heard from Bin Ladin. This tape ends rumors and speculation that he may have died in the Pakistan earthquake or of other causes. It may also be an attempt by Bin Ladin to reassert his relevance, since most of the focus for terrorism has shifted to Iraq and the actions of his follower Abu Mus'ab Az-Zarqawi. The tape makes threats of an attack in the United States. I view these as reiterations of the existing threat. Should we take it seriously? Absolutely, as we have been all along, but this is nothing new. Was this a warning of impending attacks? We have never established a correlation between these tapes and attacks. It is of note, however, that this tape lacked much of the usual religious fervor and Koranic references, and offered a "truce" to the west. I doubt if anyone is taking that seriously. On January 20, an audiotape containing the voice of Bin Ladin's deputy Ayman Az-Zawahri was posted on an Islamist website. The audio content, however, is believed to be a recitation of a poem written in 2004. There is no "time stamp" information - references that prove that the tape was made after a certain event - that indicate this is a new tape. As an intelligence analyst remarked, "This could have been posted by any Abdul at a coffee shop with internet access...."
Not exactly politically correct, but accurate. In technical terms, the U.S. military has the ability to inflict major damage to Iran's nuclear weapons program, potentially setting it back for years. That's the general view of military strategists in the United States and Israel. Earlier this week, Defense Secretary Donald Rumsfeld publicly confirmed that such a project has been contingently planned, and is doable. Given that Iran's nuclear program is believed to be widely dispersed among dozens or more sites, some of them easily concealed and unknown to foreign intelligence agencies, it's not likely that military action short of overthrowing the current regime could eliminate the Iranian nuclear threat. Since Iran has a population of close to 70 million, almost three times the size of Iraq, it's extremely difficult to imagine any scenario by which the United States, with its armed forces stretched in Iraq, could assemble a coalition force large enough to effectively occupy the Islamic Republic of Iran. The most likely scenario is U.S. or Israeli destruction of Iranian nuclear facilities. The Iranian government is publicly committed to the destruction of the Jewish state, and there's precedent to answer that threat: In 1981, Israel destroyed the Iraqi nuclear weapons facility at Osirik. But destroying Iran's nuclear program would be a far more difficult, complex undertaking than the Israeli operation against Iraq. The Osirik mission stretched the Israeli Air Force to the limit. Eight F-16 fighters were escorted by six F-15s a distance of 1,200 miles over the hostile airspace of Jordan and Saudi Arabia, yet managed to achieve surprise. The Osirik reactor was destroyed in minutes. According to Michael Eisenstadt, director of the Military and Security Studies Program at the Washington Institute for Near East Policy, the F-16s were operating at very close to their fuel limits. Had the Israeli forces been challenged by Iraqi, Jordanian or Saudi aircraft, they could not have engaged in sustained combat. Even so, the Osirik operation was simple compared to the challenge of targeting Iran. The Iranians have not repeated Saddam Hussein's mistake of leaving his sole nuclear facility in the open; the Iranians have dispersed and hidden their weapons infrastructure. Iranian facilities are hundreds of miles more distant from Israel. Three or four sites are producing plutonium or enriching uranium, and some are thought to be buried deep underground. Former Israeli Gen. Ephraim Kam, who is skeptical of military action, believes that even if several Iranian sites were attacked, such as the centrifuge facility for uranium enrichment in Natanz, Iran could build a replacement facility "in a short time." That assumes that Iran does not have a covert facility that has escaped detection. Because centrifuge facilities and the factories used to produce them can be hidden in relatively small buildings, Gen. Kam says "the possibility that such facilities already secretly exist is a real one, and is liable to leave Iran with a significant surviving capability even after the known facilities are attacked." Other knowledgeable analysts, however, believe the Iranian threat is so grave that destruction of some if not all Iranian nuclear facilities would be worth doing because it could set the Iranian program back several years. One such analyst is Shai Feldman, who until a few weeks ago was Gen. Kam's boss at the Jaffee Center for Strategic Studies, a moderately left-of-center Israeli think tank. On the right, Ephraim Inbar, a professor at Bar-Ilan University, believes that surgical air strikes combined with limited ground operations by special forces would be able "to cripple Iran's ability to build a nuclear bomb in the near future." lthough Mr. Inbar contends that Israel has the capability to conduct such an operation, he, along with many other analysts in Israel and the United States, say the American military is best able to do it. Even operating with less-than- ideal intelligence, the U.S. military has the ability to inflict great damage to the regime and its military infrastructure. Professor Richard Russell of the National Defense University suggests that by targeting Iranian nuclear weapons facilities, American aircraft and cruise missiles could strike bases used by the Iranian Revolutionary Guard. Aircraft and ballistic missiles that could be used to deliver weapons of mass destruction, as well as weapons production facilities, should be targeted also. U.S. forces could strike Iran with weapons such as air-launched cruise missiles, delivered by B-2 bombers coming from the United States, and the Navy can fire sea-launched Tomahawk cruise missiles. Retired Col. Rick Francona, a military affairs analyst for the cable network MSNBC, says that the Air Force and the Navy, the services least involved in operations in Iraq and Afghanistan, should be primarily responsible for the mission. Several of the Iranian facilities, such as those in Natanz, are buried as deep as 75 feet underground, and would require the use of U.S. satellite- guided munitions. The recent CIA missile strike on a residential compound in Pakistan's Waziristan province focused again the world's attention on the fragile situation in Pakistan. Pakistan is ruled by a military dictator that since the September 11, 2001 attacks by Al-Qa'idah on the United States has been a strong ally of American and a key factor in the war on terrorism. General Pervez Musharraf has firmly supported American efforts to remove the Taliban from power in neighboring Afghanistan, and has ordered the Pakistani armed forces to conduct offensive operations in the inhospitable mountainous region in the border area. His support was critical to American military operations in Pakistan - Afghanistan is a landlocked country and overflight rights were necessary to gain access to the battlespace. Musharraf has paid a price for his support of the United States. Remember it was his intelligence service that created the Taliban that eventually came to power in Afghanistan. There is still strong support for the Taliban and Usamah Bin Ladin's Al-Qa'idah in the Pakistani military and intelligence services. This fact has often been cited for the failure (or unwillingness) of Pakistani forces to capture or kill senior Al-Qai'dah and Taliban operatives known to be resident in the tribal areas along the porous Afghanistan border. Probably more importantly, Musharraf's tilt towards the United States has led to at least three, possibly more, assassination attempts. Some of these attempts have been sophisticated enough to raise suspicions that only a military or intelligence service would have the requisite capability, capability not credited to the Taliban nor Al-Qa'idah. 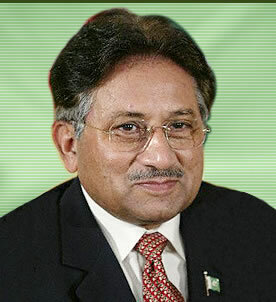 The problem - who will replace Musharraf? Here we have a country with nuclear weapons and a strong Islamic movement in the military and intelligence services. As my colleague at MSNBC, General Wayne Downing (US Army, Retired), puts it - "we are just one bullet away from a nuclear armed Islamic fundamentalist state." Iran's recent restart of its uranium enrichment program again raises the specter of military action, be it American, Israeli, combined American-Israeli, or in the abstract, European. Can a military operation be successful, and who has the capability to execute it? Good questions. Let's assume for the sake of argument that the option of military action has been selected. First, it is important to define the objective of any military action. That will determine what and how military assets are used. I think it is a fair assumption that no one is seriously considering the actual invasion of Iran to remove the present regime. It is also safe to assume that no one is contemplating the use of large conventional ground force formations to defeat the Iranian military. The goal of this operation would be to cripple Iran's suspected nascent nuclear weapons program. The most viable option is the use of aerial-delivered munitions and possibly the introduction of special operations forces. Assuming that the goal is to cripple the Iranian nuclear program, I think that will be difficult - not impossible, but certainly difficult. The Iranians are a smart and resourceful people. Like the rest of the world, they saw what the Israeli Air Force did to Iraq's French-supplied Osirak nuclear reactor outside Baghdad at At-Tuwaythah in June 1981. In one air raid, the Israelis virtually brought the Iraqi nuclear program to a halt. It would have taken years for the Iraqis to reconstitute this critical element of their nuclear weapons effort. Unlike the Iranians, the Iraqis had placed their eggs in one basket - the core part of the Iraqi program was located in one place, above ground, in a lightly defended area. Conversely, the Iranians have dispersed their program facilities over much of the country, mostly underground or least somewhat buried. Many of the facilities are protected by recently-acquired state-of-the-art Russian air defense systems, or at the least, aging Shah-era (but still capable) American-supplied air defense systems. An air attack on Iran's nuclear facilities would have to strike multiple hardened or semi-hardened targets over a widespread area. Even if we know where the facilities are, getting them all will be difficult. Could we or the Israelis do it? The Israelis have the talent and I am sure at least the same intelligence we have. Of course, in the post Iraq-WMD (weapons of mass destruction) era, that raises the question: is the intelligence accurate? As a Middle East specialist/intelligence officer, I focused on this area for almost three decades. I am fairly confident that we have adequate imagery intelligence on the facilities we know about. I can't really speak to the signals intelligence - I have been out of that business too long. As for the human intelligence, unless things have changed since I retired, Iran remains one of the most difficult targets, even tougher than the Iraqi target. For argument's sake, let's assume the intelligence is accurate. How would we cripple the Iranian program most effectively? The usual first answers are "the Israelis will do it" or "the U.S. military would do it, if they were not already fully engaged fighting counterinsurgencies in both Iraq and Afghanistan." Let's look at the Israeli options. The option is not a good one. I doubt the Israeli Air Force can project enough power that far from home base. They can certainly project limited power that far (as evidenced by their strike on Palestine Liberation Organization headquarters in Tunis in 1985) or massive power to neighboring countries, but Iran is probably two countries too far for this size of an operation. Israel's best (and only realistic) option is get overflight permission from Turkey, a country with whom they have a long-standing defense cooperation agreement. Given Turkish sensitivity to Iranian, Arab and other Muslim public opinion, I doubt that Turkey would cooperate in this instance. If, and I stress the word, Israel gets overflight permission from Ankara, the complexity of this type of operation will require concentration on limited targets, choosing the most critical piece of the Iranian program and destroying that. It is not a good option, but the leaders in Tel Aviv may regard the Iranian program as a serious enough threat to try it anyway. As for American capabilities, we come back to the common argument that the U.S. military is already fully engaged, fighting counterinsurgencies in both Iraq and Afghanistan. On the surface this may be true, but if you consider the different resources of the American armed forces, you will find that the U.S. Army and U.S. Marine Corps are bearing the brunt of the commitment to operations in those two theaters. The two services that that will be the main force behind any operations against Iran, the U.S. Air Force and the U.S. Navy, currently are relatively unencumbered and capable of offensive operations on the scale required. Again, if the intelligence is accurate, the U.S. Air Force and U.S. Navy have the means to cripple the Iranian program if ordered to do so. Let's examine some of the possibilities. The USAF could use Iraqi air bases, but I doubt we would get permission from the Iraqi government - the Shi'a-dominated Iraqi government is not inclined to antagonize Shi'a Iran. Using air bases in any of the Gulf countries or the central Asian republics (that have supported U.S. operations in Afghanistan) is equally implausible. While these are definite limitations, they are not show-stoppers. Over the years, the Air Force and Navy have developed a family of weapons that do not rely on host nations for support. The Air Force's long-range air launched cruise missiles can be fired from aircraft flying from the United States. The Navy can fire sea launched Tomahawks from international waters. Can these stand-off weapons deliver the punch needed? Probably not alone. However, when combined with stealth-capable bombers delivering precision guided munitions against a series of targets across Iran, the objective of the operation can be achieved. Remember - we are not trying to topple the regime in Tehran, merely cripple its nuclear program. We are not trying to defeat them - we are trying to modify their behavior. In the best of all worlds, it will not come to this. However, I am certain that somewhere in the bowels of the Pentagon, just this kind of planning is already taking place - just in case. On December 30, I was part of the MSNBC "Hardball War Council" discussing the NSA operation and the past year in Iraq.